I missed last year because of a family commitment, but I will be there this year. I am bringing a low XO 2-way with a SS 10F8424 over an Audax HM210C0. All digital from the computer to the DAC's. 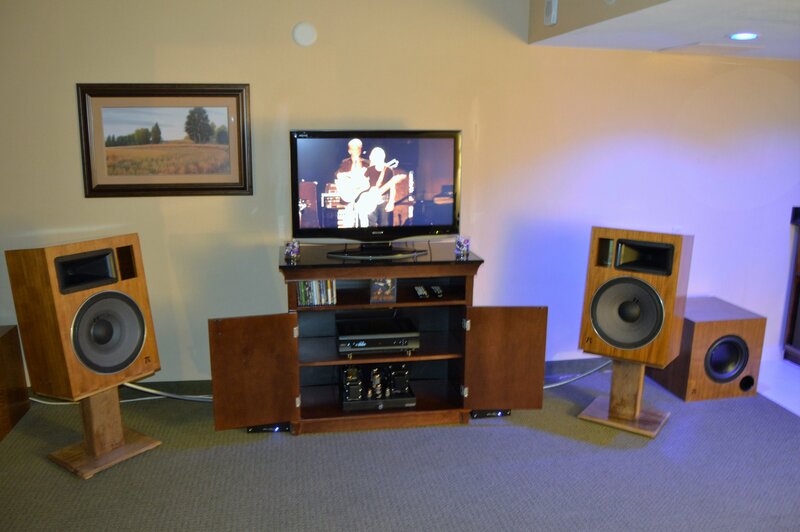 Class D amps. The point of the demo is digital XO and EQ. It looks like 2016 is my first year to finally attend. Looking forward to finally meeting many of you in person. I'll be there, as usual. I had planned to bring constant directivity cornerhorns this year, but I think I'll fall back to four π mains and flanking subs instead. That's my most popular setup. Wayne, I really like those speakers. Did build the boxes yourself? If so, do you have the schematics available on this site or for purchase? Heavens, yes. 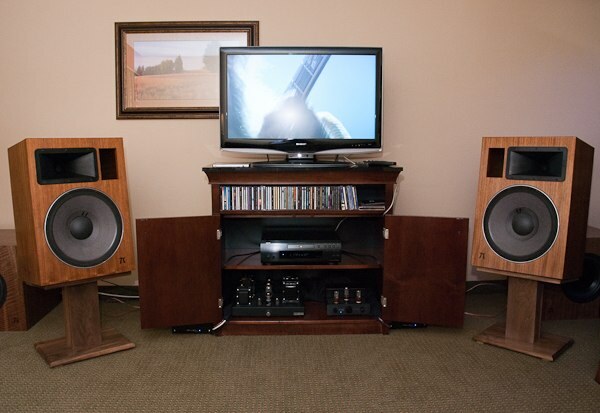 Most DIYers are familiar with those speakers; They've been around a long, long time. 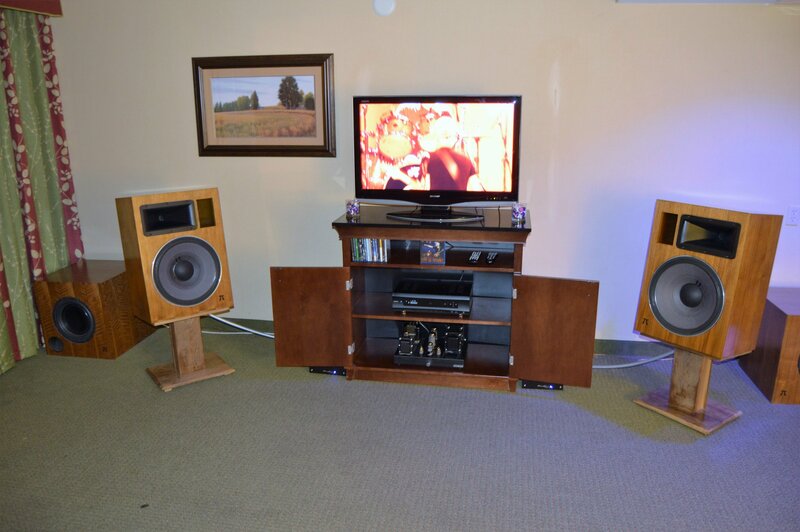 Our line of speakers are probably the oldest kit/DIY speakers that are still currently in production. They've been around for decades but we keep updating them with incremental improvements. The latest models incorporate an H290C waveguide, which is brand-new as of 2012 and is the smoothest waveguide/tweeter I've ever measured. Sorry if that seems immodest but the measurements do speak for themselves. I've sent plans to you via email. π Speakers is setup and running in room 207! I brought my usual setup with only one small change. I'm running four π mains with three π flanking subs. That's a pretty typical setup for me. And I"m running an Audio Note SET amp on the mains with ProFET amps for the subs. Again, that's pretty typical for me. But this year, instead of the Denon 3800 for source, I am using the Oppo BDP-105D BluRay player. SInce it has a volume control, I am not using a preamp or even my passive "Blue Processor" line level attenuator. I'm in the same room I have been in years past with our seven π constant directivity cornerhorns. It's a little larger room, and that's a good thing. 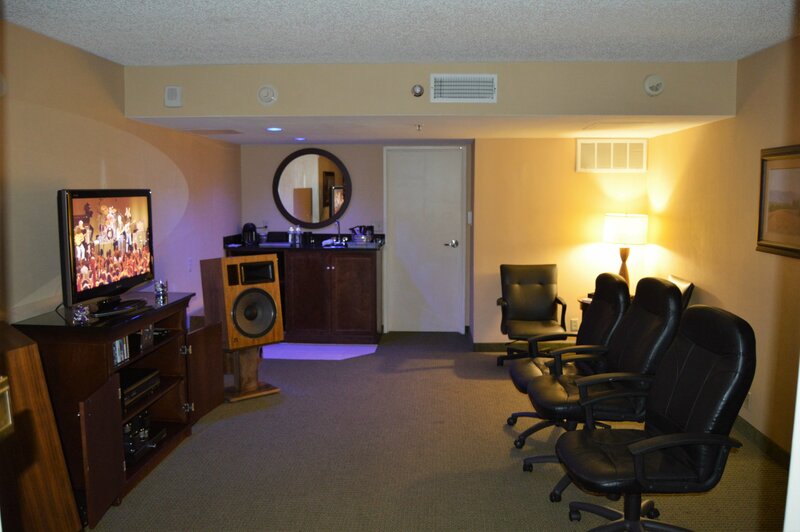 But instead of facing the door - as I would with the cornerhorns - we've setup like I usually do in the smaller rooms. At first, we shoe-horned six chairs for listeners, hoping to take advantage of the larger room. But I didn't feel that the setup was optimal for all the seats because some seats shadowed others. So we backed off to three seats. My lovely wife Kelly is visiting all the other rooms, talking photos and enjoying the people and tunes. So when she gets back, she'll upload all the pics! We're loving it here at LSAF 2016! Hi, The setup looks nice. We may do the fest next year as we have a bunch of new gear in the works and we miss the group. Have a great time. You're represented here! Your amps are running in the Manzanita room. All the rooms sounded good this year, as always. Rather than comment on each of them, we'll let the pictures speak for themselves. LSAF 2016 show coverage will be listed on the Lone Star Audiofest website as it becomes available.